As the Future Climate For Africa Program enters the final year of its research, it serves as an opportune time to look back and reflect on what has been achieved. This was no different for the team of researchers who attended the final UMFULA meeting, after 4 years of compelling research. The meeting was held from the 19th – 21st November on the shores of Tanzania’s coastline. The five-day meeting was aimed at looking both, reflectively at the successes and what can be learned from the past 3 years, and proactively towards the upcoming final outputs of the project. Aside from the climate science, UMFULA have worked to create useful and useable climate information that can be used in climate resilient planning in Southern Africa. A number of outputs are available on the topic, including briefs providing overviews of future climate change for Tanzania and Malawi based on the latest available climate model simulations, both of which provide useful information for decision makers. UMFULA researchers also led the writing of the Climate Risk and Vulnerability Handbook for Southern Africa, a seminal piece that guides the reader through a simplified understanding of climate risks, vulnerability to climate change and actions to cope with the impact of climate change by connecting adaptation, mitigation and sustainable development, regional climate change strategies, climate change adaptation and disaster risk reduction, climate financing, sustainability and corporate governance. The team has also developed a policy brief on policy coherence for sustainable development in sub-Saharan Africa. This brief explores the importance of cross-sectoral approaches to policy development in meeting the Paris Agreement on climate change and the Sustainable Development Goals (SDGs). Similarly, UMFULA has presented this research in a recent webinar and has also summarised it in an animation. UMFULA has engaged with public, national and sub-national institutions, meteorological agencies, the private sector, farmers, NGOS and grassroots organisations, donors and critical thinkers in both Malawi and Tanzania. In Malawi the team is regularly invited by the Government to provide comments on draft policy documents on climate change, resilience and development. Through a co-production approach, the team is also working with key stakeholders in the agriculture, hydropower and environment sectors on the Lake Malawi and the Shire River Basin in terms of climate change impacts and decision-making for water management options and infrastructure plans. 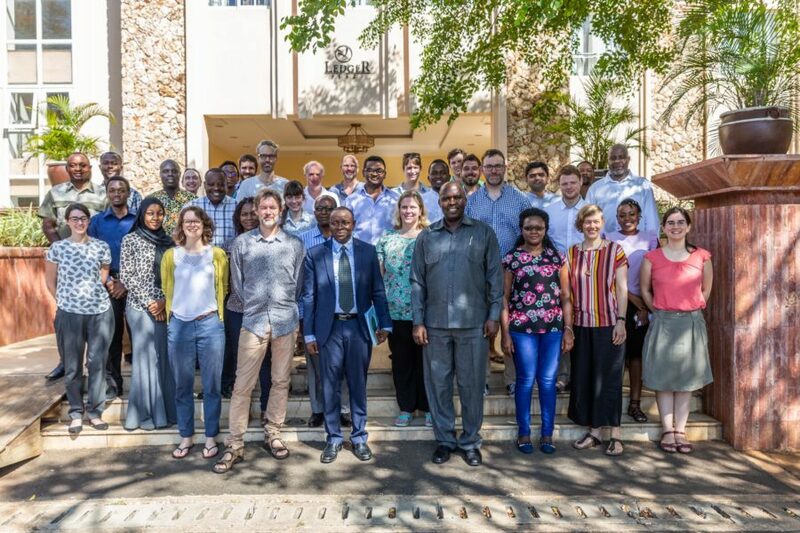 In Tanzania, the team is working together with stakeholders in the Rufiji Basin to assess climate change impacts on hydropower production, food security and environmental flows, looking at trade-offs between various demands and proposed interventions in light of multiple plausible futures. The UMFULA team have worked well over the last 3 and half years to progress the climate science in their study regions and ensure that the improved science has impact across their pilot projects. The project and program are coming to an end and reaching a critical phase, in terms of furthering impact on the ground. Similarly, the Climate Information for Resilient Tea Production (CI4T) Project, a joint project between UMFULA and the HyCRISTAL team that aims to identify key climatic characteristics that influence tea production as well as investigate various adaptation methods to support long-term planning in tea production in both Malawi and Kenya, is still on-going. A number of outputs from this project are expected over the coming months, including both academic and non-academic outputs and a video informing tea value-supply chain.